We all know Saraba for their work in the anthology space as well as with their new manuscript project. 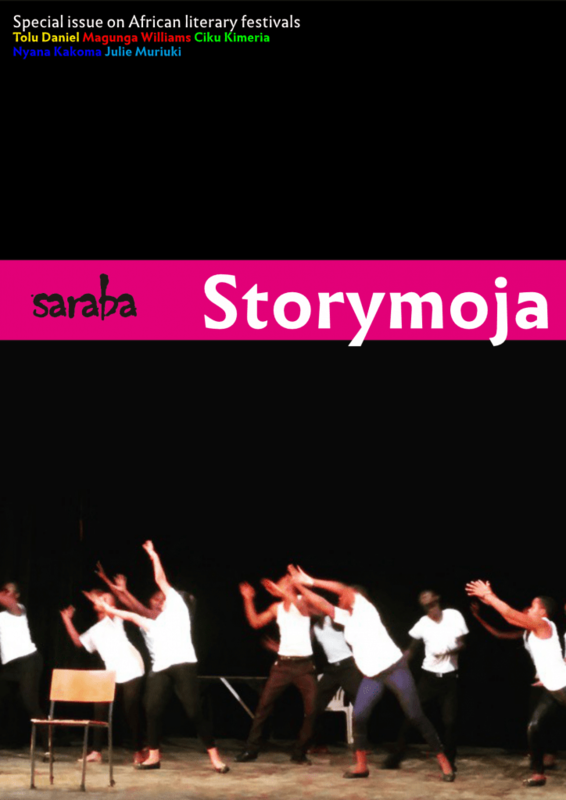 This time round the team from Saraba have opted for an East African invasion by working with the Storymoja Festival. As you might know, Storymoja is Kenya and East Africa’s definitive literary festival. Seriously. Just search “Storymoja” on this blog and see the huge number of blog posts about the festival that come up. If you won’t take my word for it then read Teju Cole’s essay, tribute to Kofi Awoonor, whose last public appearance was at Storymoja and another tribute by Emmanuel Iduma that was published in Bakwa Magazine. Its big here in East Africa so it only makes sense that Saraba will want to work with them. Their newest publication to be released on August 31 with Storymoja will be a special issue with essays on literary festivals by Tolu Daniel, Ciku Kimeria, Nyana Kakoma and Julie Muriuki. The essays are supposed to be reminiscent and reflective. Saraba’s partnership with Storymoja Festival will culminate in a panel on literary publications, with participants including Saraba’s co-publishers and members of the Jalada pan-African writers’ collective.